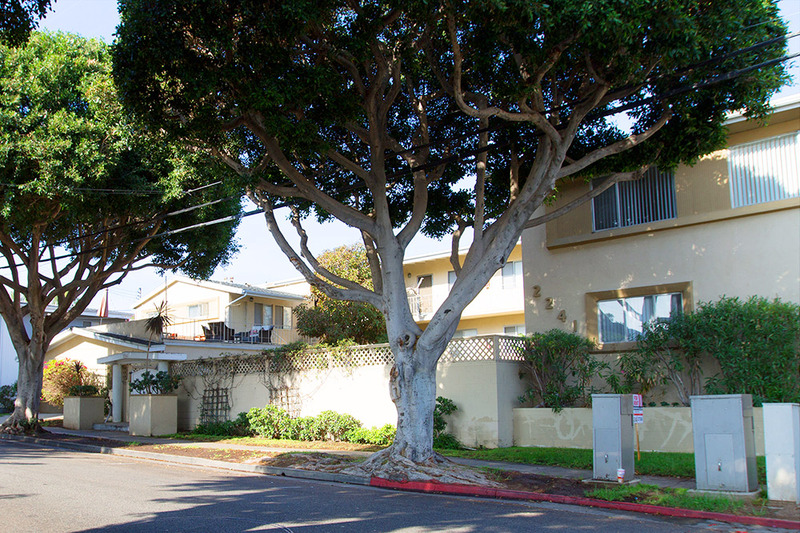 Searching for Santa Monica apartments? Make your home in the heart of the city, at our Virginia property. This cozy unit offers an ideal central location, with convenient access to the Santa Monica Freeway. Spend some time in the shade or – since pets are allowed on a case-by-case basis – take your dog for a walk at Virginia Avenue Park, which is literally right around the corner. Fans of the arts will be thrilled to find the acclaimed Morgan-Wixson Theatre and Bergamot Station art space just a few blocks away. Want to head to the beach for the day, but don’t want to deal with parking? Leave your car at home and take the Metro Expo Line, at the nearby 26th and Bergamot stop. Each unit comes equipped with granite countertops and stainless steel appliances. Community features include gated access, a barbecue area, onsite laundry, and access to a beautiful pool.